With a stay at The Torcroft, you'll be centrally located in Torquay, a 3-minute drive from Princess Theatre and 11 minutes from Babbacombe Beach. This 4-star bed & breakfast is 11.9 mi (19.1 km) from Dartmoor and 20 mi (32.2 km) from Blackpool Sands. With a stay at Astor House, you'll be centrally located in Torquay, a 4-minute drive from Princess Theatre and 12 minutes from Babbacombe Beach. 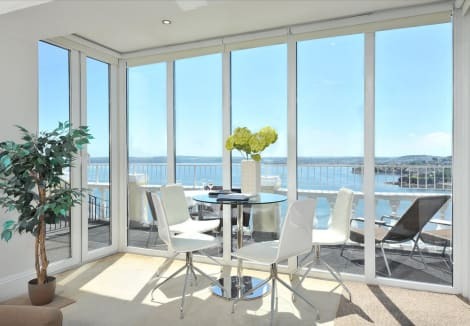 This 4-star apartment is 14 mi (22.6 km) from Dartmoor and 20.3 mi (32.6 km) from Blackpool Sands. Make yourself at home in one of the 12 guestrooms. Complimentary wireless Internet access is available to keep you connected. Bathrooms have bathtubs or showers and hair dryers. Conveniences include coffee/tea makers and complimentary bottled water, and you can also request irons/ironing boards. Make yourself at home in one of the 4 guestrooms. Complimentary wireless Internet access keeps you connected, and digital programming is available for your entertainment. Bathrooms have showers and hair dryers. Conveniences include coffee/tea makers, and irons/ironing boards can be requested. Make yourself at home in one of the 132 guestrooms. Complimentary wireless Internet access keeps you connected, and digital programming is available for your entertainment. Private bathrooms with shower/tub combinations feature complimentary toiletries and hair dryers. Conveniences include phones, as well as safes and coffee/tea makers.